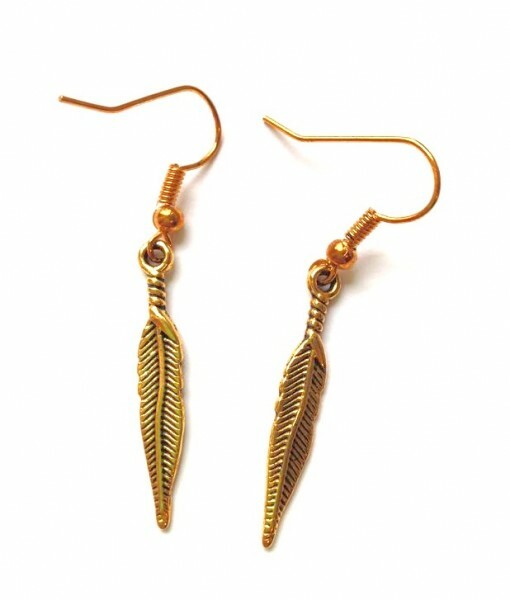 Featuring detailed gold feather charms on beautiful gold plated earring wires, the gold feather earrings are perfect for a subtle, boho look. 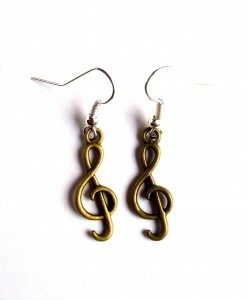 Our gold feather earrings are a gorgeous, classy accessory. 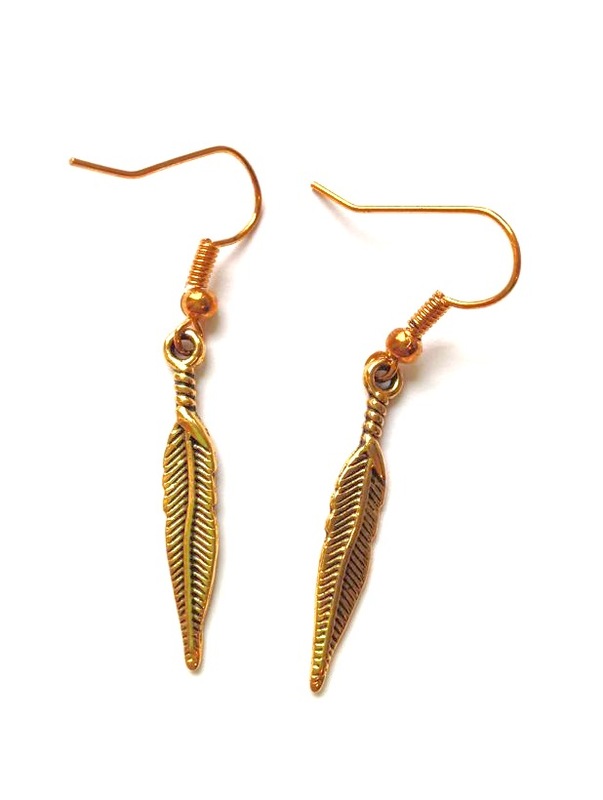 Featuring detailed gold feather charms on beautiful gold plated earring wires, these earrings are perfect for adding a unique touch of gold to your look. 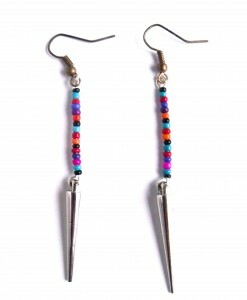 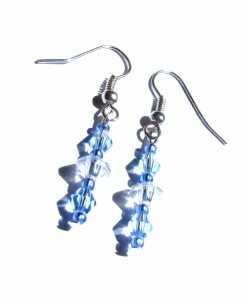 Like all of our This Material Culture jewellery, these beautiful earrings are handmade in Britain and totally unique. 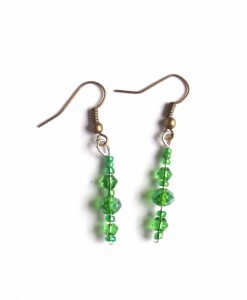 Hanging at a drop of around 3cm, these dainty gold feather dangle earrings are classy and elegant. 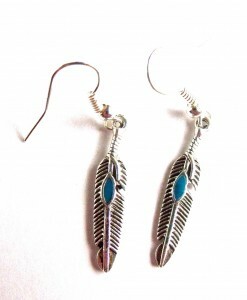 Perfect for a night out, these feminine feather earrings add a bohemian twist. 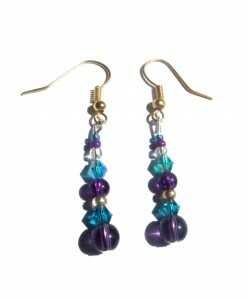 In a bright gold finish, these dangly feathers are the perfect handmade statement earrings. 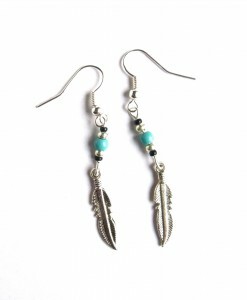 Each feather has a delicate twist at the top and these dangle earrings are light and comfortable to wear. 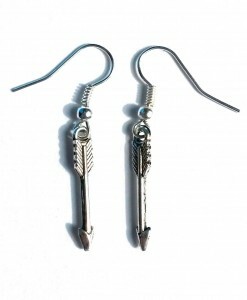 These earrings with feathers come packaged on a This Material Culture jewellery card and can also be gift wrapped.